Tibetan carpet weaving is essentially a folk art, and the technique of knotting is quite unique. 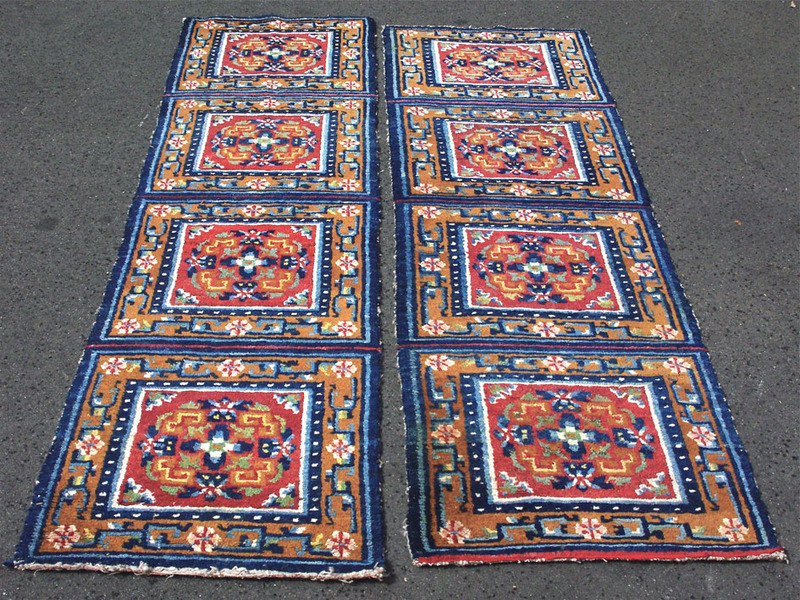 Unlike the Persian or Turk, who has often covered the walls and floor of his house or tent with carpets, the Tibetan uses rugs mainly as a seat or bed but has also produced saddle and door covers, cylindrical pillar carpets and carpets for ritual use in meditation. It is most probable that these ‘runners’ were used as ceremonial ‘kneelers’ in a temple or monastery.